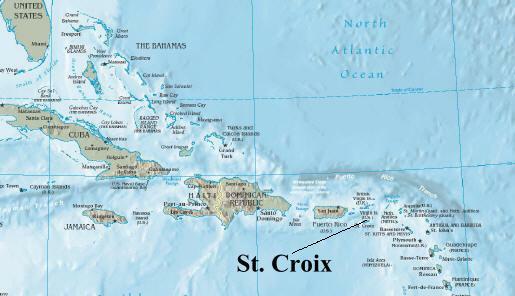 Below you will find several maps of St. Croix and its location relative to the US mainland, its location in the Caribbean Sea and its location relative to the other Virgin Islands. 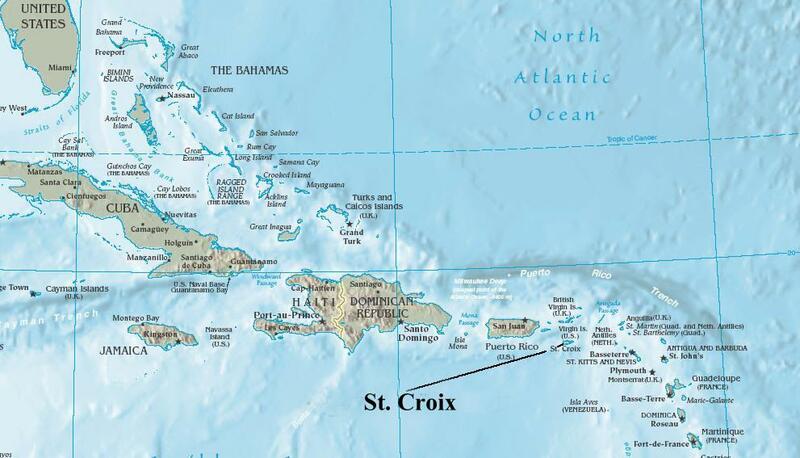 St. Croix is one of only a few widely recognized islands that actually lies entirely in the Caribbean. 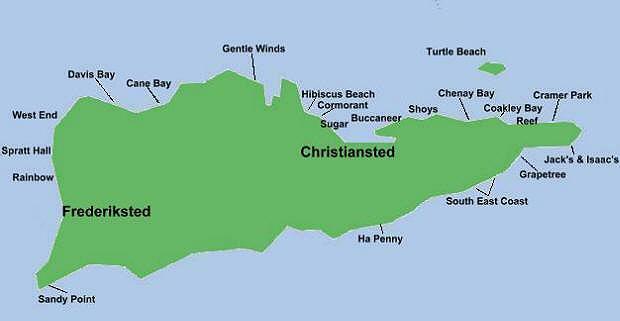 Most of the other islands associated with the Caribbean really have one side in the Caribbean Sea and the other in the Atlantic Ocean. 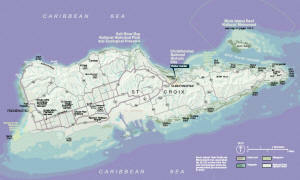 Did you know that the Turks and Caicos and the Bahamas are not even close to being in the Caribbean? Who knew? 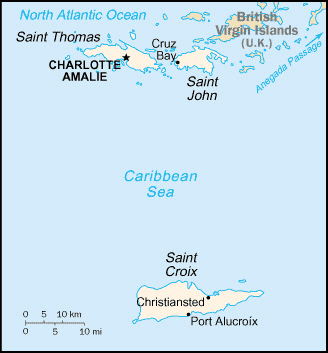 Click on the Caribbean map below for a larger version.